Golf’s New Rules Kick In! Golf’s New Rules Kick In! Golf’s New Rules Kick In! Finally, the ancient game of golf has made some radical changes and the changes are the game’s most significant in more than 60 years! It’s about time! 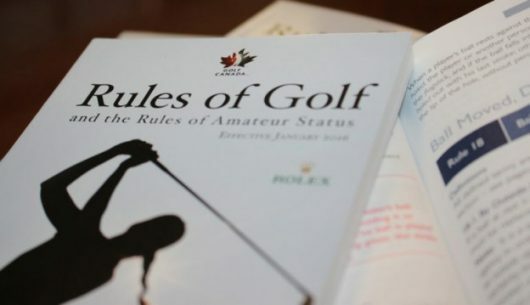 After a six-year consultation process, a handful of new rules took effect from January 1, 2019 in an effort to speed up play and modernise the rules. The number of regulations have fallen from 34 to 24. Penalty and free drops to be made from knee rather than shoulder height. Only three minutes rather than five allowed to search for a lost ball. A damaged club, even as a result of abuse in anger, can be repaired and used in remainder of round. No penalty for hitting flagstick in the hole with a shot played on the green. No penalty for accidentally moving your ball as long as it is replaced to the correct spot. Spike marks can be repaired on the green. No penalty for an accidental double hit. It becomes possible to take a penalty drop out of a bunker. Loose impediments may be removed in bunkers and the sand can be touched with a club prior to a stroke from the hazard but not in a practice swing, on the back swing or to test the surface. Water hazards are now known as “penalty areas” as can other areas of courses be if so deemed by the committee. All golfers should download the apps available from the R&A.